Interactive Media: A form of media that encourages active participation, collaboration and information sharing between two or more individuals. Interactive Course: An educational class that encourages active participation by the student through the use of interactive media, such as discussion boards, wikis and computer-based assessments. Integrated Learning System (ILS): A system of learning that facilitates interaction between the student and teacher and provides immediate feedback to the student regarding the student’s progress in the course. Knowledge Management System (KMS): A system that is used to organize and store data within a network. Knowledge Base: A database that functions as a knowledge management system by storing and organizing data. Learning Management System (LMS): A software application (usually Web-based) that is designed to manage educational records or online classes and facilitate information-sharing and collaboration. Learning Platform: A group of applications or sites that provide teachers and students with online resources and tools designed to improve the educational experience. Lifetime Learning Tax Credit: A federal tax credit for up to $2,000 that may be claimed by an individual who has paid for tuition and other related expenses at an eligible postsecondary educational institution. Managed Learning Environment (MLE): A set of online tools and resources that allow the student and teacher to manage various aspects of the educational experience, including communication, assessments and document sharing. Master’s Degree: An academic degree recognizing a student’s completion of a graduate course of study. Graduation from a master’s degree program will provide the student with a Master of Arts or a Master of Science degree. Miller Analogies Test (MAT): A standardized test required for admission into some graduate programs, particularly in the fields of social science, education and the humanities. The test primarily assesses an individual’s logic and analytical reasoning skills. Scores range from 200 to 600. Message Board: A form of online communication in which participants post discussions relating to a particular topic. Micro-Learning: A method of learning that emphasizes short-term learning activities and that involves interaction with small units of data easily accessed through online technology. Micro-Lecture: A method of online teaching in which short lectures of 60 to 90 seconds are combined with other educational activities, such as assignments and discussions, to complete the student’s educational experience. Netiquette: Short for “net etiquette,” a set of rules and guidelines that govern interaction on the Internet, including discussion boards, wikis, and other forums often used in online education. Non-Traditional Student: A student at an institution of higher education whose circumstances are atypical. The classification of a student as non-traditional usually includes a student who has part-time status or an undergraduate student who is older than the typical undergraduate age. Online Community: A community formed through online interaction via discussion boards, chat rooms, wikis and other collaborative and information-sharing media. Online Learning: A method of learning facilitated through various online media rather than face-to-face classroom interaction. Peer-to-Peer (P2P) Network: A network in which participants contribute resources directly to the group that enable the sharing of files, images, videos or other data over the Internet. Ph.D.: The Doctor of Philosophy degree is the highest academic degree awarded upon completion of a course of study or program, particularly in the fields of the humanities and sciences. Prior Learning Assessment (PLA): A program that offers adults undergraduate college credit for knowledge and skills acquired through work and other experience. A student’s knowledge is assessed through a portfolio of essays and other evidence showcasing the knowledge and skills acquired by the student. Private Loan: Non-federal financial aid provided to a student to help fund the student’s educational expenses. Proctor: A person who administers an exam. Many online education programs require students to take exams in the presence of an approved proctor. Professional Development: Continuing education undertaken to improve an individual’s personal and career skills through participation in non-degree and degree classes, conferences and workshops. Preliminary Scholastic Aptitude Test (PSAT): A standardized test taken by high school students in the 10th and 11th grades as a precursor to the SAT. 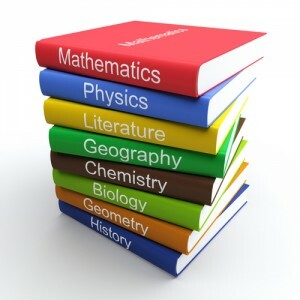 The PSAT includes sections on mathematics, reading and writing. Scores range from 20 to 80 for each section.